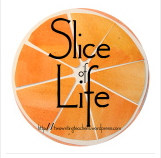 I thought about skipping the slicing life tonight. Truth be told, I've been writing all day. I've worked on my first three chapters of my novel, I've revised my query letter, I've edited some descriptive paragraphs for summer programs, and I've written a critique of a book proposal. I've also made charts and written some demonstration pieces. All in all, there's been a lot of writing done today, and sometimes it gets in the way of a good slice. Then, almost simultaneously, one of my favorite (I know I'm not supposed to have favorites, but) teachers texted asking if I'd take a look at some of her students' recent on-demand writing samples, and a tweet came through my feed from #tcrwp. Of course I'll look at the writing samples, I texted right back. She went on to share how disappointed she was with the quality of the writing. I responded with the standards. They met the state standards--just not her standards. And now in our upcoming unit, we have a new bar set, and that is one where they go above the basics and into the realm of independent demonstration of all of her great instruction. We teach well beyond the standards, and sometimes the work we see in process pieces exceeds the work students produce in an on-demand situation. Let me revise that statement. Sometimes the work we see in process pieces exceeds the work we ALL produce in an on-demand situation. That being said, I think it's crucial that we are constantly and continually assessing students' internalization of our instruction because yes, if they can't do the work without us, they can't do it. How long can the student sustain productive work without adult intervention? Is that amount of time increasing? How strong is the scaffold, and what is the plan for removing it? What is the student's understanding of the work they are doing? Are we valuing the process and growth more than the product? When left to their own devices, sometimes students will wow us and sometimes they will disappoint us. Our job is to give them the instruction, power, motivation, and pride in becoming independent writers, regardless of their level. And now, I've completed my writing for the day, including a slice!